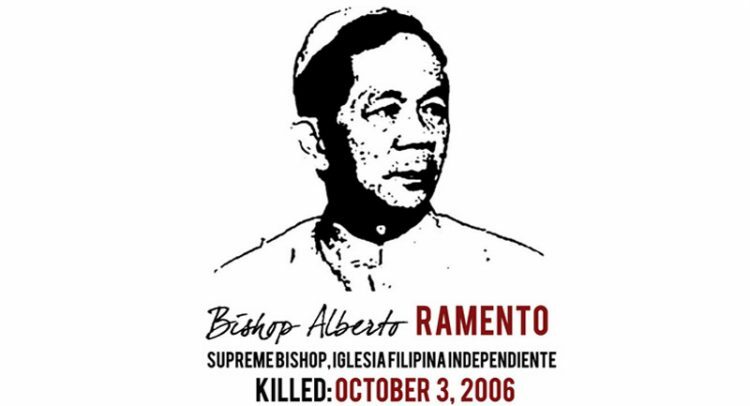 Eleven years ago today, seven stab wounds ended the life of Obispo Maximo Alberto Ramento. His body was found drenched in blood in his makeshift convent at the choir loft of our San Sebastian church in Tarlac City. He was then the Bishop of the Diocese of Tarlac. It is a death that to this day preoccupies the Iglesia Filipina Independiente, which he led as chief pastor in 1993-99. The police ruled out days after the incident that it was robbery gone wrong. Five men were identified as suspects; one was at large, four incarcerated and later on released. Investigations veered from the people who could have given meaningful testimonies. The IFI and other organizations launched a fact-finding mission that found a different story: Here was a politically motivated crime. Loopholes plagued the authorities’ narrative: The DVD player and ring they showed went missing on two separate occasions prior to the evening of the killing; some of the wounds suggested Bishop Ramento was stabbed while asleep. Until our story is acknowledged, justice is denied the IFI and the bereaved family. “I know they are going to kill me next, but never will I abandon my duty to God and my ministry to the people,” once said the champion of human rights, workers’ rights and the peace process. Fr. William Tadena, like him a supporter of the Hacienda Luisita workers, had just been assassinated when he uttered those words. Our bishop did not give in to threats, the kind of commitment that moved the IFI to establish human rights ministry Ramento Project for Rights Defenders (RPRD). Our work at RPRD reveals to us that the issues that agitated the church leader remain. Many Filipinos still grapple with dire poverty, landlessness, un- and underemployment, the lack of basic social services and national industries. We are made more vulnerable by the brunt of climate change and environmental degradation, the collapse of the peace talks, unabated human rights violations, and the climate of violence espoused by the war on drugs, all-out war, militarization and other sorts of aggression. Recently, the conflicts and the overarching culture of impunity in the country felled leaders of the Iglesia Filipina Independiente. Meliton Catampongan was shot dead on July 10 in Alegria, Surigao del Norte. A gunman shot him in the left chest and shoulder, and then fled with a driver waiting in a motorcycle. The two assailants were wearing bonnets and helmets. Catampongan was the chair of the town chapter of Nagkahiusang Maguuma sa Surigao del Norte. He was a parish council member, laymen officer, chorister, and former lay reader and evangelist of the Alegria parish of the Diocese of Surigao. Found dead with a fellow barangay councilor was Mangyan Erning Aykid of Benli, Bulalacao, Oriental Mindoro. Their lifeless bodies were discovered by a passerby in the village shortly after their murder in the morning of Sept. 15. Aykid was a lay minister and key person in the Mission to the Mangyans of the IFI. Documentation by Rev. Fr. Sherwin Fortu, the priest in charge of the Benli chapel, noted that some suspicious individuals had been monitoring the two on the day of the incident, and that they were possibly shot to death on the way home from the town capital. Romblon and Mindoro Diocesan Bishop Ronelio Fabriquier said Aykid had been questioned by the military about his affiliation with the IFI and the New People’s Army, as Benli has been a rebel hotspot. Military presence in Benli began when the infamous Gen. Jovito Palparan was assigned to the area in 2001; while threats to Aykid escalated after an encounter between the military and NPA last March in Sitio Karomata, a part of Benli. Five days later, Segundo Malig-on Jr. died from multiple gunshot wounds. He was a councilor of Labo village in Ozamiz City, Misamis Occidental; and a former parish officer and member of the laymen’s sector of Labo parish. He was shot to death outside his home by two unidentified men, who fled in a motorcycle. Insight from the community connects his death to politics. The three add to the cases of disturbing deaths among IFI faithful, which also include among others martial law martyr Rev. Fr. Jeremias Aquino; and Rev. Fr. Narciso Pico and Benjamin Bayles, killed in 1991 and 2010, respectively, for their work with peasants in Negros. We memorialize them all as we carry on with our prophetic witness and solidarity with the last, least and lost. Aside from the fatalities, we also documented cases of persecution targeting our church workers, as well as human rights defenders affiliated with the IFI. Bishop Carlo Morales of the Diocese of Ozamiz continues to languish in jail because of fabricated charges lodged against him and National Democratic Front consultant Rommel Salinas. Individuals manning our humanitarian and development programs, even priests, report surveillance and harassment. Inspite of all these, RPRD and the IFI as a revolutionary Church are unfazed as we call on the government and other parties to stop harming the weak and vulnerable. The trivialization of human rights, continuing impunity and reign of violence are injustices that only push us to forge on. The escalating violations to the inherent dignity of life and the stewardship of creation only give us purpose to work harder. Our aim will continue to be peace based on justice, no matter the odds. We are in the right, so we do not fear threats and are not frightened. RPRD is a Church-based human rights program operated by the Iglesia Filipina Independiente for the cause of human rights, especially human rights defenders. It dedicates itself to cases of extra-judicial killings, abductions, grave threats, illegal arrests, and legal persecutions. Its human rights commitments are based on Christian principles and on universal and national human rights instruments. In the application of international instruments, RPRD observes the standards and processes of Rights-Based Approach.